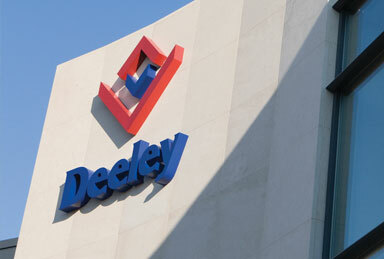 Deeley Construction is celebrating its 80th anniversary with a string of industry award wins and nominations. The company, which was formed in 1936, is holding a series of events throughout the year to commemorate the milestone. And Deeley Construction has also been recognised at two major awards ceremonies already this year for work it has undertaken across the Midlands region. The firm landed a Silver Award at the Consider Constructors Scheme’s National Site Awards in Manchester for its work in creating a new B&M Store at Coventry Airport Retail Park. At the same ceremony, Deeley Construction was presented with the Bronze Award for the Technology Centre at the MIRA Technology Park. The company’s outstanding new teaching facility at Pershore College, which is part of Warwickshire College Group, was shortlisted in two categories at the West Midlands Celebrating Construction Awards – Project of the Year and Integration & Collaboration. Martin Gallagher, managing director of Deeley Construction, said: “We work hard right across the company to ensure we deliver the very best service and, ultimately, the very best buildings for our clients. “To receive recognition at awards ceremonies is a further testament to what we do and highlights that we offer best practice to clients. “We are very proud of the projects that were recognised as they show-off a variety of works that Deeley Construction can undertake. 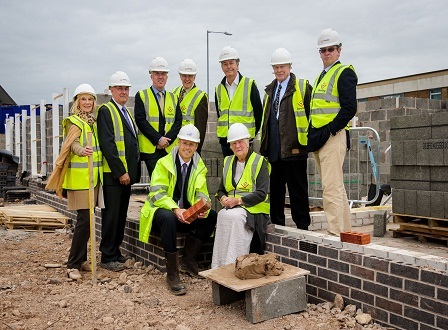 The foundations for 82 apartments at Fordham House, a new development in the heart of Stratford-upon-Avon, have begun to be laid down. In a prime location on the corner of Birmingham Road and Clopton Road, initial works at the site began earlier this year with the demolition a vacant office building, after Orbit took over the lease from the Stratford Town Trust in January. 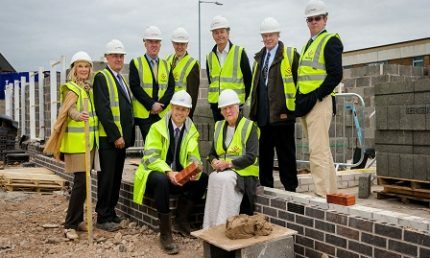 To mark the start of construction of the new homes, Orbit and Stratford Town Trust were recently joined on site by partners Deeley Construction and ABD Developments to celebrate the laying of the first brick. Due for completion in summer 2017, Fordham House will offer a mix of high-quality one and two bedroom apartments for private rent. With close proximity to the hospital and town centre, initial preference for the 82 apartments will be given to local key workers, such as health and emergency service workers and teachers, as well as local people. The development is being brought to market through a partnership between Stratford Town Trust, Orbit, ABD Developments and Robothams Architects, with Deeley Construction as design and build contractors. Once complete, Fordham House will be owned and managed by Orbit, with Stratford Town Trust continuing to retain the freehold. Adam Cooper, private rented sector director at Orbit, said: “It’s incredibly exciting to see the foundations of Fordham House being laid. The apartments have been designed to a high quality, to enhance the customer experience when living at Fordham House, including innovative extra touches. The company is one of the world’s leading health and wellness retailers and the largest in Europe, supplying its customers with a wide range of vitamins, minerals, health supplements, specialist foods and natural beauty products. The Nuneaton-based business moved to Eliot Park in the town in 2010 and now employs more than 300 staff at its head office. 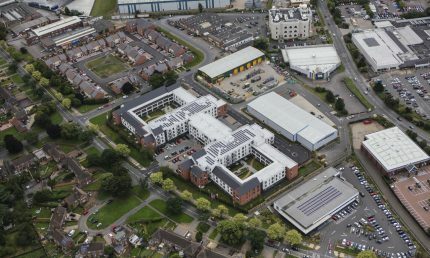 But as the retailer has expanded rapidly, the headquarters too are in need of development, and Coventry-based Deeley Construction is in the process of building a 48,000 sq. 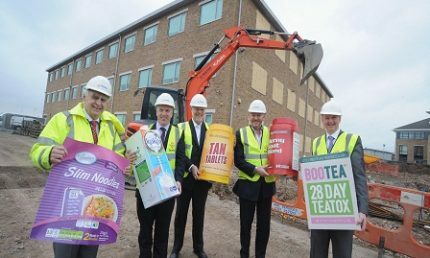 ft. extension which will allow staff numbers to grow to between 500 and 600, solidifying Holland & Barrett International as one of the largest employers in the area. Holland & Barrett International’s success in global expansion was recognised this year with a Queen’s Award for International Trade, one of the highest honours for business presented to the company in April. Work on the extension follows on from the creation of a new car park on site at Eliot Park, part of a 40-year regeneration on the site, undertaken by the Deeley Group, and is expected to be completed in early 2017. 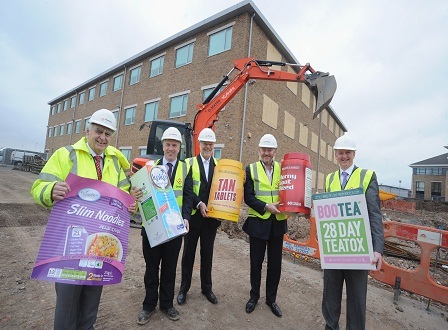 Peter Deeley, managing director of the Deeley Group, said: “Every region, such as our own region of Coventry & Warwickshire, needs successful, growing companies and the expansion of Holland & Barrett is a very good story locally, nationally and globally. He said: “This is great news for our area. The Chamber began a Go For Growth campaign at the start of the year and it’s fantastic to see Holland & Barrett expanding in such a way. Pictured: Peter Deeley, Martin Gallagher (both Deeley Group), Roger Craddock, Peter Aldis (both Holland & Barrett), Paul Carvell (Chamber). The Vice Chancellor of the University of Warwick has been given the lowdown on a major £2.8 million extension to Warwick Medical School. 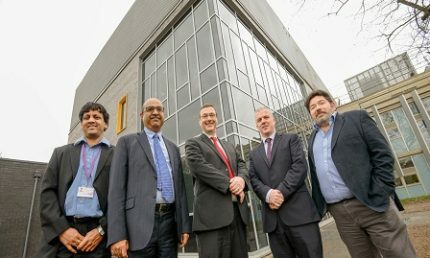 Professor Stuart Croft was given a tour of the extension of the Mechanochemical Cell Biology Building (MCBB), which was built by Coventry-based company Deeley Construction. Work started on site around a year ago and the project was delivered on-time and on-budget in March. The purpose of the additional space is to provide a new high-quality laboratory in line with the Biomedical Cell Biology Division’s need to accommodate more researchers into the building. The new building has been designed to withstand particular environments such as heating and cooling in order to carry out research into diseases such as cancer. 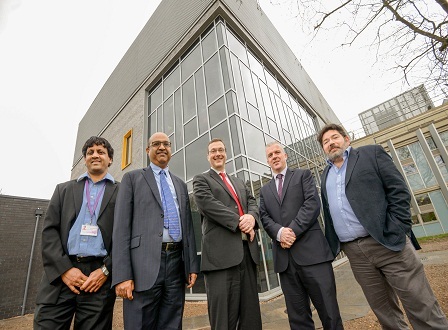 He was joined on the tour by Pro-Dean (Research) Prof. Mohan Balasubramanian; Dean of Warwick Medical School Prof. Sudhesh Kumar; Prof. Jonathan Millar, Head of Division; and Deeley Construction managing director Martin Gallagher. Martin said: “We have a great working partnership with the University of Warwick and we are delighted with the finished extension. “The team had to work in a live environment with the existing MCBB building in full use throughout the project. “That presented its own challenges but we made sure that we kept any disruption to an absolute minimum. MIRA Technology Park, the 1.75 million sq. 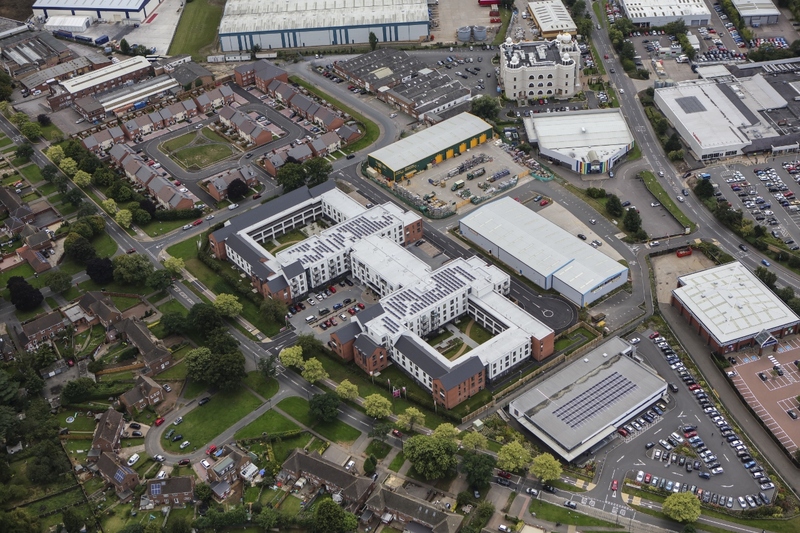 ft. Enterprise Zone in Nuneaton, Warwickshire, has concluded Phase One of its development plan with the completion of key infrastructure at the site. 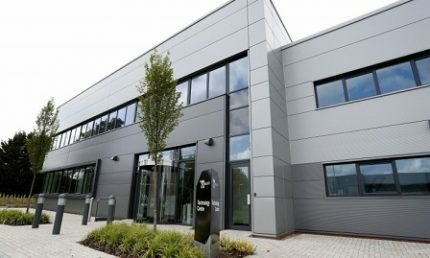 Deeley Construction are proud to have worked on this first phase by delivering the first five Technology Park buildings. 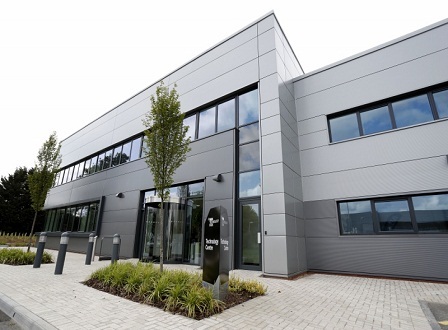 Since work began on the Technology Park in 2010, a total of £53.1m has been invested, and 440 jobs created and safeguarded. To date, a total of 118,000 sq. 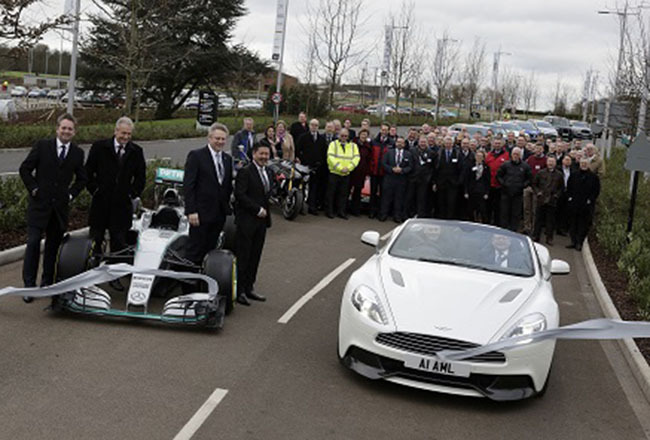 ft. of R&D space has been created since construction began on the site, which has helped attract some of the world’s largest automotive firms including Bosch, Aston Martin, Sanoh and Lockheed Martin. The infrastructure – which represents £7.4 million of investment and includes new roads, roundabouts, 10km of service ducts, 5km of footpaths and cycle ways and a total of 27,000 new trees and shrubs – enables a further 500,000 sq. ft. of construction and paves the way for Phase Two of the development, which includes the East, South and Centre Sectors of the Technology Park site. 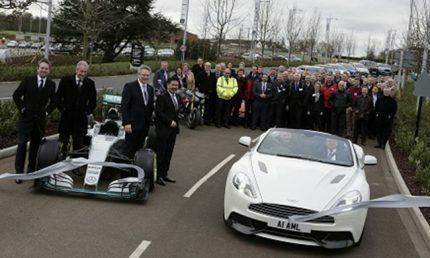 Marcus Jones MP, Minister for Local Government, said: “MIRA Technology Park is one of our highest-performing Enterprise Zones, so I am delighted to see further investment in a world-class resource that is at the heart of our motor industry. “As part of our long term economic plan, the Midlands economy has the potential to grow by £34 billion by 2030, and by the end of this parliament, there could be as many as 300,000 extra jobs, and the development outlined today will play a key role in helping to deliver this. “Completion of Phase One of the Technology Park will help MIRA become an even better place to do business, driving the research and investment that will keep it at the forefront of the automotive industry. Phase Two of the HORIBA MIRA Technology Park development, which includes an additional 500,000 sq. ft. is now underway, with a further three buildings totalling 90,000 sq. ft. expected to commence construction this year. It is estimated a further 2,000 high value jobs will be created at MIRA Technology Park by 2025, with a further 3,000 as a consequence in the regional supply chain. For further information on MIRA Technology Park, please visit www.miratechnologypark.com or www.horiba-mira.com.